SIACI SAINT HONORE, one of the leading providers of insurance brokerage and consulting services with its headquarters in France, and CAMBIASO RISSO, an Italian worldwide leading broker for marine insurance, announce that they have signed a strategic partnership to foster a strong positioning in their markets. Cambiaso Risso Group, a world marine insurance brokerage leader based in Genoa, has signed a strategic partnership agreement with French insurance broker SIACI SAINT HONORE, a leading company in the fields of industrial risk protection, marine, international mobility, and employee benefits for large and mid-cap corporates. The complementarity between the two groups is very strong in the marine area, between the unchallenged leadership of Cambiaso Risso in the Hull and Machinery area, and the strong stake in Cargo of SIACI SAINT HONORE, which added CAP MARINE in 2016 to its rich marine offer. CAP MARINE specialised entity could also bring its P&I expertise to strengthen the provided services. The combination, which will regroup 285 employees in insurance brokerage manages more than € 550 million of premium, will also benefit from the presence of Cambiaso Risso in the Lloyds market through the joint venture CR MAG built with MAG JLT, in which Cambiaso Risso has now taken 100% of the shareholding. The new joint business will bill more than 55 m€ commissions. 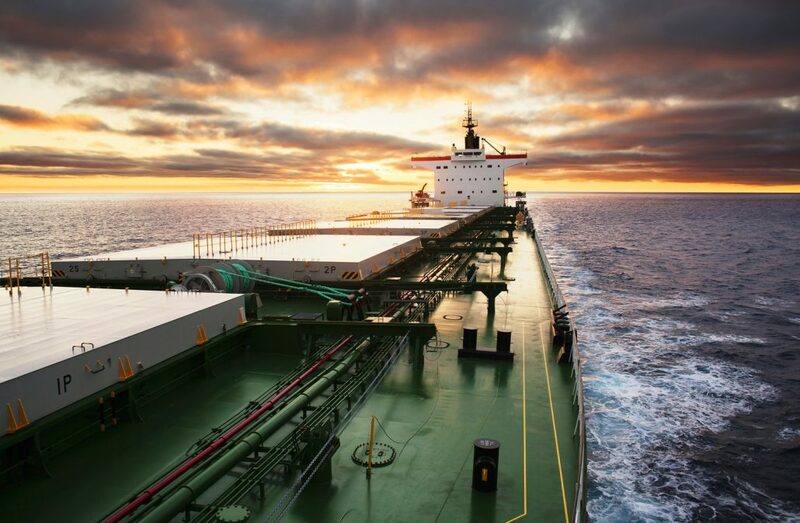 With its need for extreme flexibility, maritime insurance brokerage sector has traditionally been operated by small and medium-sized companies characterized by strong loyalty to shipping companies. Given the globalization of markets, Cambiaso Risso objective is now to continue providing the shipping sector with high quality services through a niche offering but with the clear target to expand their penetration to a wider geographical area. ”Expanding our geographical coverage to Italy and the other countries where Cambiaso Risso is present, while benefiting from the outstanding experience of Marco Risso, Mauro Iguera and their teams is invaluable”, the President Pierre Donnersberg of SIACI SAINT HONORE comments. “This is our most important strategic operation for a long time, and the real start of the new era of independence opened on last November 8 when we’ve changed our shareholding and management took control of the Group”. SIACI SAINT HONORE operation has long-term goals. The considerable size of French global company will make it possible for the already solid Cambiaso Risso to grow stronger first through new hires at its Genoa headquarters and then through expansion into markets with strong growth aiming at the further internationalization of the Group. Since 2008, when partners bought the company’s marine branch, Cambiaso Risso has returned to its historical vocation by undertaking a policy of expansion which brought to the opening of fifteen offices other than Genoa, including those in Singapore, London, and Bergen (Norway), which have allowed the acquisition of clients in new markets and the placement of business in the most prestigious insurance markets. “We believe that we are going to develop a seamless business both in Marine and non-Marine business, and speed up considerably our development in Europe, exactly at the time when the market is going through recomposition”, declares Hervé Houdard, SIACI SAINT HONORE’s Vice-Chairman and Managing Director. “We have been working on this process for about one year, because it is so key to the implementation of our international strategy. It is definitely the beginning of something big”. The agreement between Cambiaso Risso and SIACI SAINT HONORE represents something of a first in the world of insurance brokerage sector, wherein several acquisitions have occurred over the last ten years, but no strategic partnership has been established that ensures managers the autonomy and independence needed, while providing the potential synergies within and outside the Marine field. Cambiaso Risso could already boast that it is a unique operation, with the repurchase of its marine branch. The new Cambiaso Risso will be able to count on significant investments aimed at overcoming its current geographical limits in collaboration with the French group’s mergers and acquisitions unit. Cambiaso Risso Shipping Agency, with its network of offices in Genoa, Trieste, Civitavecchia, Sicily, Monaco, Singapore and Shanghai will also be part of the operation, thus continuing Cambiaso Risso long tradition of offering multiple maritime services to its customers. SIACI SAINT HONORE is also proud and very excited to rely on Cambiaso Risso teams to better serve respective clients to foster its international expanding. GOP (Gianni Origoni Grippo Cappelli and Partners – Milan) and PWC (PricewaterhouseCoopers) on behalf of SIACI SAINT HONORE and Studio Legale De Andrè and UBS Corporate Advisory on behalf of Cambiaso Risso Group. Founded in Genoa in 1946, Cambiaso Risso operates through 16 offices with 240 staff, of which 170 in insurance brokerage, of 18 different nationalities. In 2018 total written premia has been € 360 million, originating net brokerage for € 24 million. Turnover of Cambiaso Risso Shipping Agency has been € 6 million out of 2.250 calls worldwide. SIACI SAINT HONORE, one of the leading providers of brokerage and consulting services in the French insurance market, supports large and mid-cap companies in the management of their property and personal insurance risks in France and around the world. The Group designs and develops customized solutions for its corporate clients in Property and Casualty, Marine and Cargo, Employee Benefits, Retirement, HR Strategy and Total Rewards and International Mobility. SIACI SAINT HONORE services encompass the entire value chain from risk management consulting to the management of insurance plans. The firm has currently 2.500 employees worldwide, insures 2.5 million individuals and reported turnover of €350 million in 2017. Its Marine activity underwrote €200 million premium in 2017 and billed € 27m of commissions, relying on a team of 115 professionals.